He is tasked to redesign old articles at Bodybuilding.com, but this Web Editor is updating his body as well! There are two definitions of fitness. The first is simply health. The second is a biological imperative: the capability of the body to effectively and efficiently distribute inhaled oxygen to muscle tissue during increased physical effort. There are only two definitions, but millions of activities that put the definitions to task. At Bodybuilding.com, we foster an environment that welcomes all those activities which lead our friends and customers to fitness. 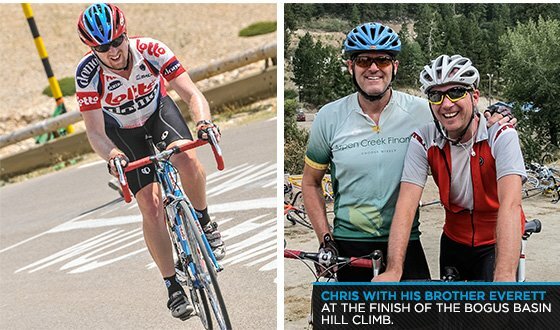 For Chris Butler, a recent addition to the Digital Publishing team, fitness is achieved through cycling almost every day. He rides as his commute to work, but he also does it for fun, for exercise, for sibling rivalry, for competition, and ultimately, for health. 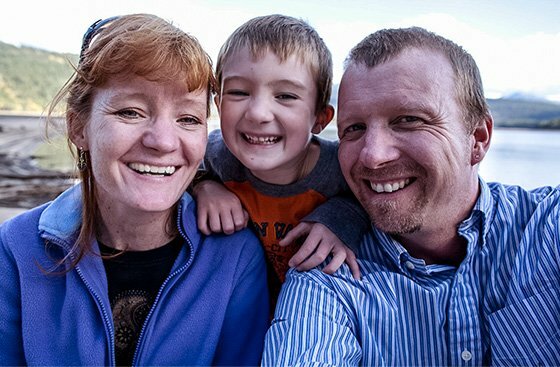 Chris lost 20 pounds riding in his first few months at the company and set an example for the rest of us. He is this month's Fit Team Member! I came to Bodybuilding.com in May of this year after a career in journalism. As web editor here at Bodybuilding.com, I'm responsible for taking old legacy articles and making them shiny and new. One of the many benefits of my job is gaining knowledge of nutrition and fitness as I read through these articles. I've always been a fairly health-conscious individual, riding my bike, skating and skiing in the winter. But in the performance of my role here as web editor I've come to realize the need for proper nutrition. Following better nutrition guidelines is one of the main reasons I have lost approximately 20 pounds since I began working here four months ago! I don't race anymore. 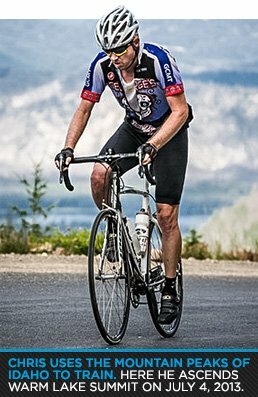 However, there are a few community races and events I like to do such as the annual Bogus Basin Hill Climb, and the Cascade 4 Summit Challenge. Once each year my brother Everett and I plan a day or week of riding. In 2009 we went to the Tour De France and shadowed the world's most famous race on our bikes. We climbed the famous Mont Ventoux. I still get chills thinking about riding this legendary climb in the Tour De France. At the bottom of the mountain, which they call the Giant of Provence, or the Bald Mountain, it was 90 degrees, but at the top it was a chilly 50 degrees. The wind howls across what looks like a moonscape. Less than 24 hours after we made the climb, Lance Armstrong and Alberto Contador rode up the climb during a stage of the Tour de France. They went up it a little faster than we did. It took us 2 1/2 hours, but they got up in less than an hour. It just shows what level those riders are at. The ride was part of a 7-day trip to France with his brother to ride and watch the Tour De France. We were able to see five stages from Paris to the Alps. It was an experience I'll never forget. France was really cool, and I'd love to go back. Last year we did the California Deathride, a 126-mile ride through the Sierra Nevada Mountain Range. This year we rode what is commonly called among Idaho cyclists as The Big Loop. It begins in Boise and winds up to Banks, across to Garden Valley and Lowman. 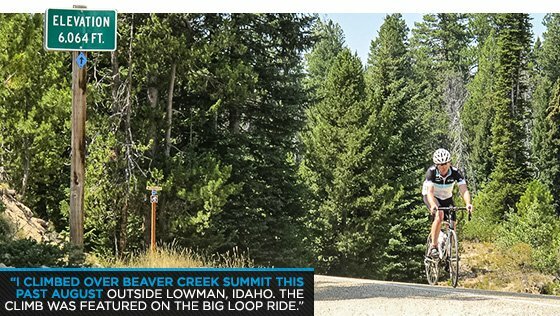 From Lowman you ride up and over Beaver Creek and Mores Creek Summits to Idaho City and then finally back down into Boise. The ride totals 154 miles and gains almost 11,000 feet. We started the day at 7 a.m. and finished just after 7:30 p.m. It was another unforgettable day on the bike. A Lot of People Cycle for Exercise, But Also for Transportation. What Are the Positives/Negatives of Riding to Work? For me it's great to get to bike to work. It always starts the day off right and it's something I look forward to when I leave each day. It's one of the benefits of working here that I was missing at my last job. Riding to and from work each day does require some planning. I need to get my food and clothes prepared the night before. So being organized is a key if you want to ride to work. People See 'Bodybuilding.com' and Think We're All a Bunch of Meatheads, Lifting Iron All Day, All Night, All the Time. What About You, Do You Even Lift, Bro? No, I don't lift all year around. I spend so much time on the bike during the warmer months that getting to the gym is counterproductive and might lead to overtraining. During the "off season" I'll do a basic program of core exercises and specific leg exercises. Bodybuilding.com has been a big influence on my health and lifestyle. Reading articles about nutrition and fitness has given me a new perspective that I wouldn't have otherwise. Honestly, I don't see any negatives from my perspective. Everyone I've encountered has been very professional and helpful. What Has Surprised You Most About the Culture at Bodybuilding.com? Coming from a more traditional workplace, I was surprised by how "laid back" people dressed here. My first day I wore a dress shirt and slacks, and I felt somewhat out of place. I quickly changed to a T-shirt and shorts and instantly felt at home. You Just Moved Into the New Building. How Do You Like Your New Digs? This is really a first-class building. How many other employers build a gym space into the office? My wife Mary and my son Finley enjoy walking our new Jack Russell Terrier puppy, Beatrice, through the Boise Foothills. It appears to be the only activity that will exhaust a rat-like canine. What Is More Important to You, How You Look, or How You Feel Physically? It's definitely more important how I feel. Although dropping 20 pounds has changed how I look, I feel better, and have less stress, more energy, and I sleep much better. As a colleague use to say, "The Web is a wonderful place." I certainly agree. It's an exciting time to be working in the Internet business and in particular for Bodybuilding.com. I plan to make the most of working here and stay as long as they will have me. I try to eat a well-balanced meal at the appropriate times. In the morning I'll have gluten-free cereal with frozen blueberries. At lunch I'll eat a salad I bring to work, or something like brown rice with vegetables (both made by my wonderful wife!). For dinner we'll have another balanced meal, usually containing chicken or fish. Sometimes we'll have turkey burgers. For snacks during work I'll eat fruit (loads of bananas and apples) or almonds. During the season I ride six days each week, with Monday as my rest day. Each week I do one day of intervals, 1-2 days of climbing, and 1 long day. The long riding day usually lasts between 3-6 hours. I moved away from keeping track of mileage. Instead I like to measure my training in terms of hours. A normal week might contain around 8-10 hours of riding. While training for the Big Loop I had a couple of 13-plus hour weeks. In the winter I'm at the whim of Mother Nature and Daylight Savings Time. This means I have to get rides in on the weekends when I can and I spend many hours on the rollers. I also skate ski in the winter months for cardio and a change of scenery. Cascade 4 Summit Challenge image courtesy of Cimbalik Photography.